Why Pakistan is unhappy at U.S. support for India’s bid to join the NSG. President Barack Obama’s visit to India produced progress on a number of fronts, among which the nuclear deals are probably the most significant. The Modi-Barack bonhomie has generated a new fervour in U.S.-India relations and many are already seeing India as a strategic partner of the U.S. in the latter’s much celebrated, if increasingly sidetracked, Asian rebalance. The clamor over the inclusion of India in the Nuclear Suppliers Group (NSG), which drew immediate criticism from China, was definitely the centrepiece of the president’s India visit. How to view this? Do Indian ambitions now extend to eventually becoming the third superpower, and if so will that aspiration be derailed by its troubled relations with its neighbours – notably Pakistan – and the desire of its right-wing religious parties to pursue the Hindutva agenda. India is desperate to emerge from its developing country niche and become a member of the elite group that settles international issues – in other words, a country that matters. Perhaps inclusion in the NSG represents a step towards this dream. But it also runs the risk of exacerbating the regional nuclear arms race and straining Washington’s relations with Pakistan, given the latter’s natural inclination to respond to Indian gains in defense capabilities. 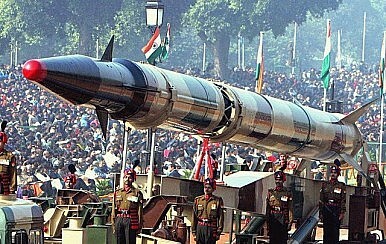 The NSG is a 48-nation body established to prevent the civilian nuclear trade from being used for military purposes. The body was formed in reaction to India’s clandestine endeavor to divert nuclear material exported by Canada and the U.S. to building nuclear warheads. The group is formed by the signatories to the non-proliferation treaty (NPT). Though the NSG has been open to admitting new members, it has been stringent in opening its doors only to those countries that are part of the NPT or Comprehensive Test Ban Treaty (CTBT). India has signed neither the NPT nor is it a member of CTBT, something that China was quick to note. In his recent visit to India, Obama once again showed his eagerness to help India get into the club. In 2010, when the president made his maiden visit to India he was equally supportive of the idea, and indeed backed the addition of India to the Missile Technology Control Regime (MTCR), the Australian Group, and the Wassenaar Arrangement. This represents a long-term U.S. effort to incorporate India into the global nuclear order. The watershed event in this process occurred in 2008, when the NSG issued an India-specific waiver allowing it to engage in nuclear trade. India has since signed civilian nuclear cooperation agreements with the U.S., U.K., France, Canada, Argentina, Russia, Kazakhstan, Mongolia, Namibia, and South Korea. The U.S., U.K., France and Russia are in favor of including India in the NSG – only China opposes the idea. Is this U.S. support (which also extends to India’s bid for a seat on the UN Security Council) genuine? Or is Washington simply humoring India’s superpower aspirations? The U.S. supported Japan’s effort to be given a Security Council seat as well, but that rarely went beyond encouraging statements. Will the same happen with India? The issue is more complicated when seen from the perspective of India-Pakistan relations and the race on the subcontinent to build a nuclear deterrence. Many Pakistanis were taken aback when Obama’s predecessor George W. Bush signed a nuclear deal with India, since it was Pakistan that was the U.S. partner in the war on terror. Certainly, Pakistan’s need for a civilian nuclear program is much more pressing, given the critical state of tis energy sector. Yes, bad government policy is the major factor behind the energy crisis, but for the country’s absorption into the war on terror over the past 13 years hasn’t helped. Of course, there is Pakistan’s past penchant for exporting nuclear technology to rogue countries, but today Pakistan regularly submits reports to the UN Security Council’s 1540 Committee on the measures the country is taking to control the transfer of sensitive materials and technologies. Pakistan is party to the Convention on the Physical Protection of Nuclear Material (CPPNM) and works closely with the IAEA to ensure the safety and security of radioactive sources and prevent the illicit trafficking of nuclear materials. Pakistan has already registered its concern at India’s intention to become part of the NSG and the UN Security Council and has objected to Washington’s support for these aspirations. Unless Pakistan is also considered a potential candidate – since, like India, Pakistan is also not an NPT signatory – these recent developments invite more tension between the two countries. If rules can be violated to further Indian interest then surely Pakistan could seek the same treatment. As China has suggested, why shouldn’t India have to first pass the NSG entry test? Given the brush-off China gave India and the U.S. over the South China Sea, there seems little reason that Indian influence will be of much value in taming China. And as far as Pakistan is concerned, bolstering India’s ego on the matter of the NSG or UN Security Council will only sow the seeds for more terrorism in the region. Pakistan’s policy of using proxies to combat Indian influence in Kashmir and Afghanistan could reemerge if the power balance is decided in favor of India, leaving a vulnerable and cash-strapped Pakistan to fend for itself. Afghanistan is still not stable and it needs Pakistan’s assistance in getting back to its feet. It would be most inappropriate to construct a paradigm that could sabotage peace in the region. An upcoming meeting will decide whether India will be allowed to join. Member states should think carefully.